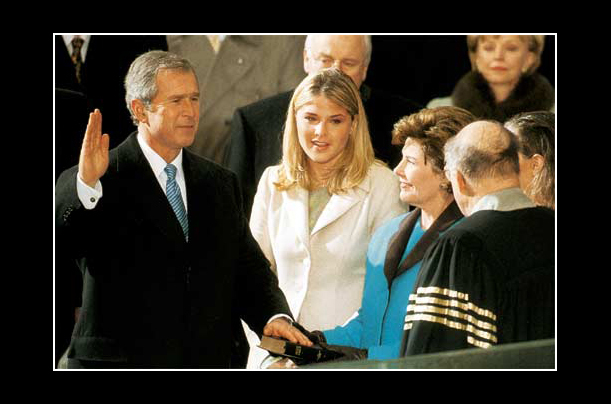 After the rancor of the 2000 presidential election, the peaceful ceremony of George W. Bush's ascension to office seemed less like a triumph and more like a relief. Despite a few awkward moments when Bush and his erstwhile rival had to share the same stage, or pass by one another, the transition went off without a hitch. George H.W. Bush was on hand to shed a tear of pride for his son, even as Barbara looked on, dry-eyed but smiling.